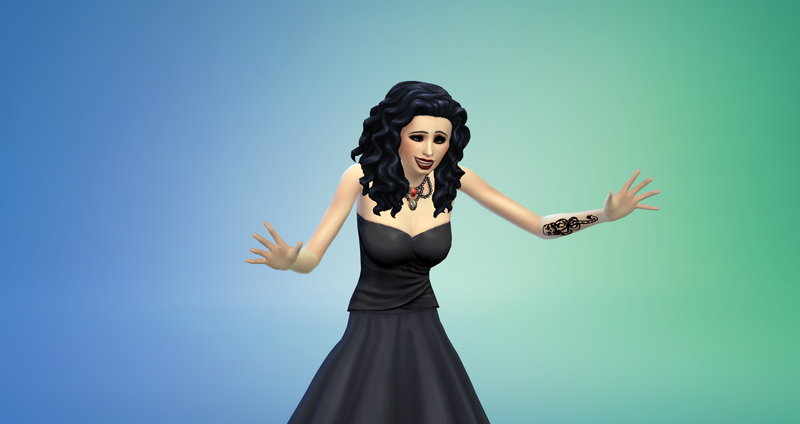 Ever wanted to create your very own Death Eater Sims like in Harry Potter? 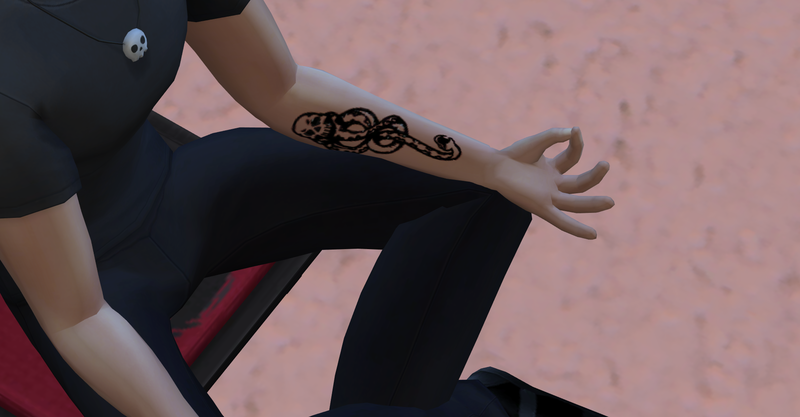 Missing their signitature tattoo? This is the Dark Mark as a tattoo for the left forarm, exactly where the Death Eaters have it in the Movies. Male and Female. Teen, Young Adult, Adult and Elder. No Toddlers, no Children. Found under Tattoos. It will not randomly appear on Townies. My Wife Jessica for being a huge inspiration, introducing me to both Harry Potter and The Sims and helping me with the Screenshots. Sims 4 Studio, Paint.net and Photoshop for being amazeing tools I couldn't create this piece of CC without. Maxis for makeing Sims 4. J.K. Rowling for writing the Harry Potter books. And Warner Brothers for making them into movies. (I do not claim to own any right to the Dark mark symbol or Harry Potter in general. The Picture I edited to be the texture, I found on Pinterest. The original is by Warner Bros. Entertainment Inc. and first appeared in the Movie Harry Potter and the Goblet of fire, linked here: https://www.warnerbros.com/harry-potter-and-goblet-fire based on the Books by JK. Rowling. But it wasn't in the plane black and white format. Her Website: https://www.jkrowling.com/ used to use the symbol to indicate spoilers, but doesn't anymore as it seems. DAZZLE ME EYE SHADOW -- Male, Female, Regular and HQ Versions!